If you have a spacious patio or backyard, then you probably enjoy spending time outside. 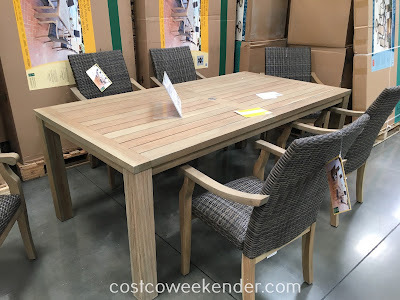 You would know, of course, how important it is to have a good outdoor dining set since it makes it all the more convenient to step out of the hosue and go outside into your outdoor area. That is why the 7 piece Teak Dining Set would be a great addition to your patio. This set gives you plenty of seating for you and your family to have lunch outside, but what makes this outdoor patio set great is that it's made of teak wood. Teak wood is a hard wood found in certain tropical regions. Although, the look and beauty of teak wood would go great for any backyard or outdoor setting, it's a very durable wood that can withstand the elements when other types of wood would rot more easily. 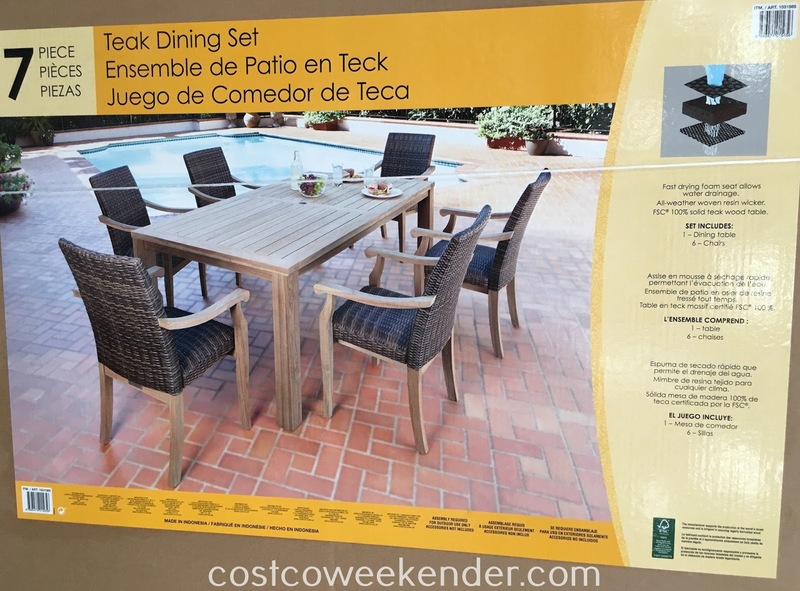 Its natural weather-resistant properties is one of the reasons why teak tends to be more expensive. 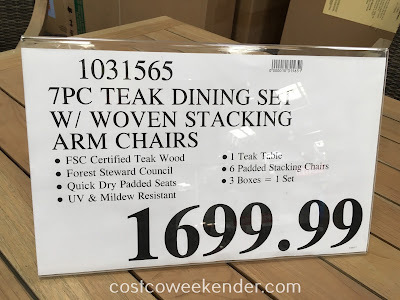 You'll find though that it's worth the cost especially, and if you get it from Costco, you'll be sure to save a lot more than if you got something similar some place else.